Before you start choosing the perfect implant type and size, you will begin your breast augmentation journey by getting to know your breast surgeon. It is important that you are comfortable with who you choose and you feel confident in their abilities and quality of care. 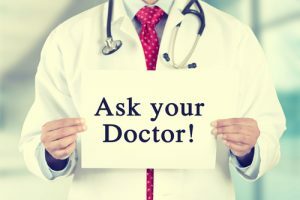 While there is a laundry list of questions to ask your surgeon recommended by the American Society of Plastic Surgeons, these are the Top 5 questions you should ask to help you feel more secure in your surgeon decision. You should always choose a surgeon who is board certified. Having this certification signifies that your doctor has experience, skill, and dedication to safety. To become board certified, your surgeon had to pass a series of exams, designed to evaluate their level of skill and proficiency in patient safety. A surgeon must have been practicing surgery for 5 years before they qualify to become board certified. This ensures your surgeon has the necessary experience to successfully perform your surgery. 2. How long have you been performing breast surgery? Being a plastic surgeon doesn’t mean someone is experienced or specialized in breast surgery. No matter the type of surgery, you should always ask how long your doctor has been performing the specific type you are looking for. You can ask for an average they perform per month or year. Making sure your surgeon is an experienced breast surgeon will increase your likelihood of achieving amazing results. 3. Do you have before and after photos I can review? Before and after photos give you a good idea of the type of results that particular surgeon can achieve. Comprehensive galleries with plenty of different patients will allow you to see things such as long-term visible scarring, how natural their results look, and how dramatic or transformative their process is. If you see a particular result you like, discuss it with your surgeon to see how you can achieve a similar look! 4. Do you oversee all of my postoperative care? It is important to know that your surgeon will tend to your postoperative care. Will they be available if emergency complications arise? Postoperative care is an important factor in determining how your results will develop. You want a surgeon who is there for you and will help guide you through the six-week recovery process. 5. What is the manufacturer’s warranty on my breast implants, and what does it cover? Your plastic surgeon may be partial to carry a specific brand of implants, either for safety or aesthetic reasons. Each manufacturer carries a warranty on their implants the covers ruptures or other malfunctions of the implants themselves. While structural deformities are rare, it is important to know the scope of your manufacturer’s warranty in case any issues do arise.